Our staff members are renown for their dedication and commitment to quality services. Professionally trained and with years of experience, our staff insure the interests and needs of every individual are the highest priority. Outstanding ratings on consumer satisfaction surveys and the highest level of national accreditation are testimonies to our commitment to excellence. We have proudly served North Idaho for over 37 years. Frances Huffman joined Tesh, Inc. as the Chief Executive Officer in July 2014. Reporting to the Board of Directors, Ms. Huffman has overall strategic and operational responsibility for Tesh clients, staff, programs and funding. Ms. Huffman has over 35 years of experience in Special Services and Speech Pathology in various school districts in Idaho, including the past ten years in the Coeur d’Alene School District #271. Most recently she was the Director of Special Services for the district, where she was responsible for Special Education, Title 1, School Health Services, Limited English Proficiency and Section 504 compliance. Ms. Huffman also has substantial experience in the area of family dynamics and providing a variety of services to high risk families. She has worked in and with the foster care and adoption systems. Her management of human services programs includes management of federal budgets of various kinds, local funds, and contracted funds. She is very experienced in the area of Medicaid funding, and the complex system of regulations and guidelines which come with the various funding sources. Ms. Huffman holds a Bachelor’s Degree in Communication Disorders from Northwest Nazarene College in Nampa, Idaho and a Master’s Degree in Speech and Language Pathology from Idaho State University. Terri Johnson, Tesh’s Vice President serves in the following capacities: Corporate Compliance Officer, Human Resources Director, Director of Operations (Including IT, Safety and Facilities), and Director of Rehabilitation. The Rehabilitation Program includes: Life Skills Training, Employment Skills Training (including Tesh’s Vocational Center, Job Development, Job Coaching, Ticket to Work & Tesh’s Janitorial Program), Service Coordination, Children’s Services (including After School and Summer Camp, Pre-Employment Transitional Summer Program, & Project Search) and Tesh’s Adult Day Health program. 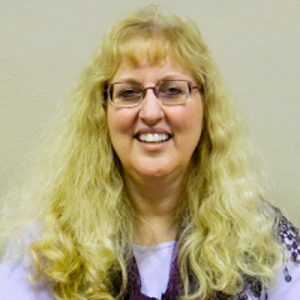 She is responsible for managing Tesh’s international CARF Audit/Certifications and for all Medicaid and Vocational Rehabilitation audits with Tesh’s various departments. Along with her Bachelor of Science Degree in Education, she holds several State Certifications in the following areas: Habilitative Interventionist/Clinical Supervisor, Developmental Specialist, and Service Coordinator. Ms. Johnson is focused on community involvement including oversight of Tesh’s client Kiwanis Aktion Club. 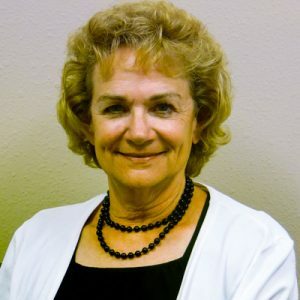 She also serves on the Project Search Advisory Committee (at Kootenai Health), the Social Services Advisory Board for CityLink Transportation, and is an active member with Leadership Coeur d’Alene. Howard Hogan has been a member of the Tesh management team since 1988, with an emphasis in providing Vocational Services. Currently, he is the Manager of Commercial Services and is responsible for contract procurement and quality control for the Vocational Center and the Janitorial Program. These two programs provide paid in-house work skills training to people with a variety of disabilities. Mr. Hogan contracts with local businesses using a “Best Value” approach to provide our client employees with a quality work experience while giving the business an excellent end product at a reasonable price and on-time delivery. Mr. Hogan ensures compliance with all applicable rules of the Department of Labor, OSHA, and CARF throughout the service delivery process, which assures that the Tesh work environment is safe and the clients are compensated appropriately for their efforts. Mr. Hogan also coordinates and offers CPR and First Aid training to Tesh staff and Family Support affiliates. 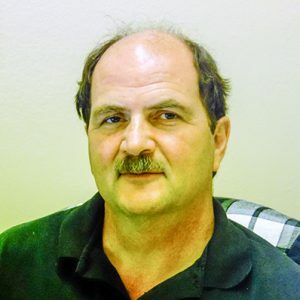 He is a former Chair of the Tesh safety program and continues to serve as an active member of that committee. Before joining Tesh, Mr. Hogan worked for ten years as a team leader and shift supervisor at a local Intermediate Care Facility for the Developmental Disabled. While there, he was responsible for developing and implementing programs such as self-help skills, money management, social and vocational skills to meet the needs of eight residents. He managed the staff members who were responsible for training to these needs. Additionally, since 1985 he and his wife have provided 24-hour in home care to several developmentally disabled or dual diagnosed individuals. Mr. Hogan has an Associates of Science degree in Business Administration from North Idaho College. He has received certification and training in JWOD University, NISH’s Regulatory Assistance program, Crisis Prevention Institute’s Behavioral Intervention Program, and Rockhurst University’s Facilities Management course, Evergreen Safety Council’s ”Accident Investigation and Safety Inspections”, NISH’s Custodial University, and many more. In 2013, Mr. Hogan was awarded the “Rita House Memorial Award” for his long standing commitment to Dedication to Tesh.